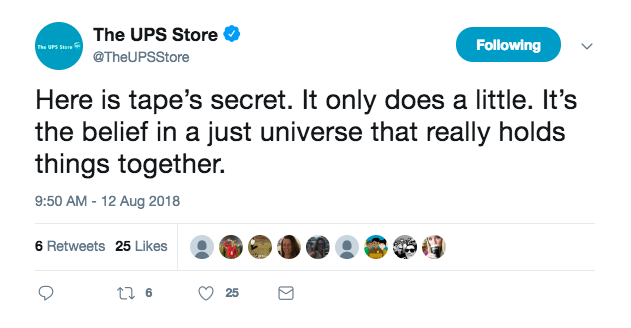 In 2017, we were tasked with rethinking the strategy for social content of The UPS Store. 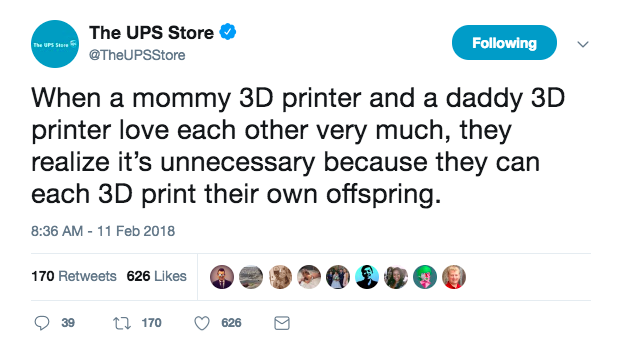 We decided to inject more attitude in Twitter and use Instagram to showcase unexpected pack and ship items. 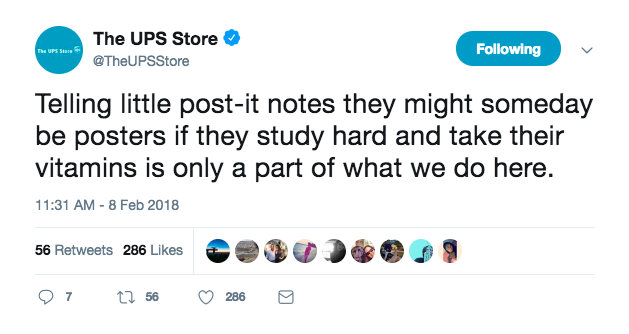 With client buy in, I was tapped to be the voice of The UPS Store on all social channels. In a few months, our team saw a wellspring of brand love and sharp spike in engagements as we joked and riffed on trending topics.